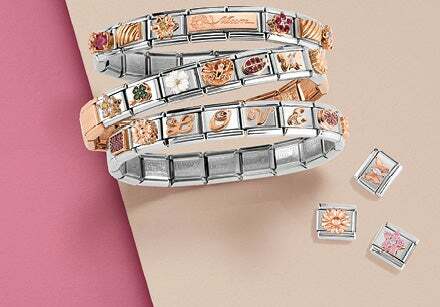 Stainless steel, sterling silver, gold and rose gold are some of the precious materials used to make the jewelry dedicated to Mom on her special day. How about a bracelet? Among our selection you’ll find tons of jewelry created with all the world’s magnificent Mom’s in mind. Want to send her a message that shows her just how much she means to you? 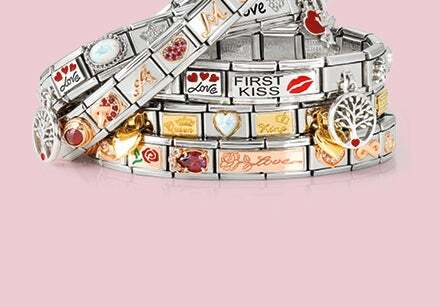 Choose the stretch bracelet with “Best Mom” inscribed and adorned with a heart that sparkles. This year you’re looking for Mother’s Day jewelry that celebrates her femininity? In our vast selection of bracelets you’ll find contemporary and original jewelry that fits perfectly with what she wears in everyday life, from work to dinner out. And let’s not forget our many premade Composable bracelets, which are ready to be worn as is or can be personalized with Links and Charms just for Mom. Create your personalized bracelet just the way you want and build the perfect gift with Links and Charms from the Composable Collection. There are so many Charms dedicated to Mom: beautiful hearts in yellow and rose gold, inscriptions just for her, coloured gemstones, and pendants with pearls. 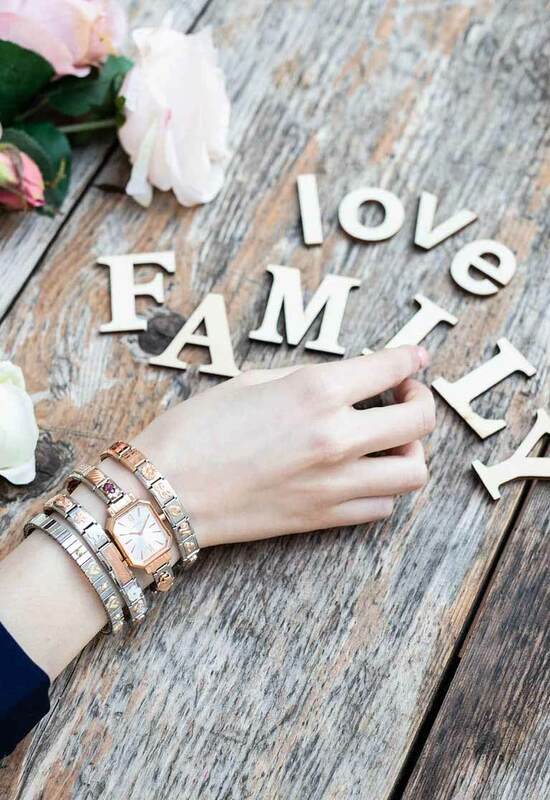 Within the Composable Classic and Double Links offering you’ll find all the building blocks you’ll need to create your loving message to your Mom and thank her on Mother’s Day. Discover all the Charms dedicated to Mom! Classy women wear jewelry on every occasion: for Mother’s Day, choose one of our gorgeous necklaces and bring some happiness to the most important woman in your life. Sterling silver, stainless steel, rose gold and brass are the high quality materials we chose when constructing jewelry for the perfect Mother’s Day gift. Which is better, a collar necklace with a small bright gemstone or with a dangling pendant? Keeping in mind your Mom’s style and taste, you’ll without a doubt find the perfect jewelry to dedicate to her on an important day such as this: from the most classic to the most modern, we have great necklaces for every occasion and look.